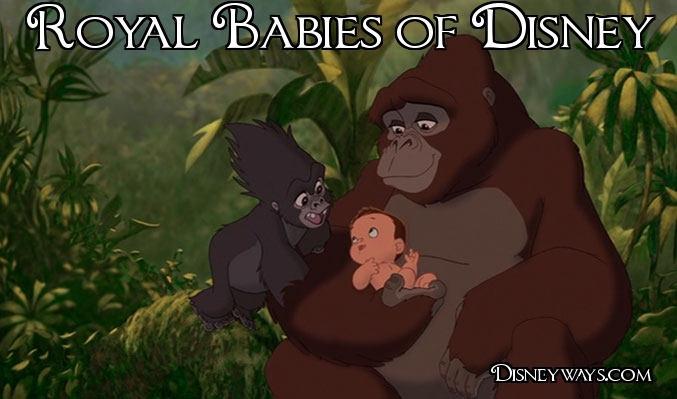 Disney Royal Babies are so fun! Let’s take a walk down memory lane and reminisce about 8 of our favorite Disney monarchs in their younger days. Let’s begin with beautiful little Tiana as a toddler! She was not a Princess quite yet in this photo – but with her paper crown and a wish on a star – she was well on her way! Bless my soul – Herc still had his (baby) rolls! Hercules was a demigod in Ancient Greece, pretty close to being a royal – right? Besides…this photo of little baby Herc is just so cute! Bambi’s dad was called the”great prince” of the forest. Here is Bambi as a fawn – just about ready to begin walking in his Dad’s royal footsteps! He would grow up to be the king of the jungle! Health to the Princess Aurora! Princess Aurora was born to a King and Queen, betrothed, eventually married to her Prince! The whole kingdom arrived when she was born – she’s (kind of) a big deal don’t you think? Shown here as a cuddly little lion cub – he just couldn’t WAIT to be king! Already hanging out with his beautiful future queen – baby Nala! Already beautiful with her sassy big hair – here is marvelous Merida! Officially coronated in 2013 – she is certainly a Princess known for being the most gifted sports – like in archery! Despite being kidnapped as a baby, Punzy still managed to grow in grace and was always a princess at heart. All photos are credit Disney including the awesome one below! Can you name some Royal Babies of Disney that we might have missed?